Vibe C2 was launched in July, and now the company has unveiled this latest smartphone silently in Russia. No-one knows why the company has launched the smartphone in such a silence mode. This phone falls under the C series of the enterprise which is of affordable range. Over the specifications, Vibe C 2 Power comes with a huge powerful battery of 3,500 mAh which is 750 mAh extra than the original device. It features a 5-inch full HD IPS display with 16M colors. The smartphone comes with a resolution of 1080 x 1920 pixels resolution display. The phone is powered by a 1 GHz quad-core MediaTek MT6735P chipset processor. It comes with a RAM of 2 GB while the original smartphone was launched with 1 GB and 16 GB of internal memory. The internal memory of the phone can be expanded up to 32 GB using microSD card. It is equipped with a rear camera of 8-megapixels with LED flashlight. The rear camera provides features like auto-focus, Geo-tagging, HDR and has a 1/4 sensor, a Sony 219, etc. On the front board, there is a camera with 5-megapixels lens for selfies and video calling facilities. 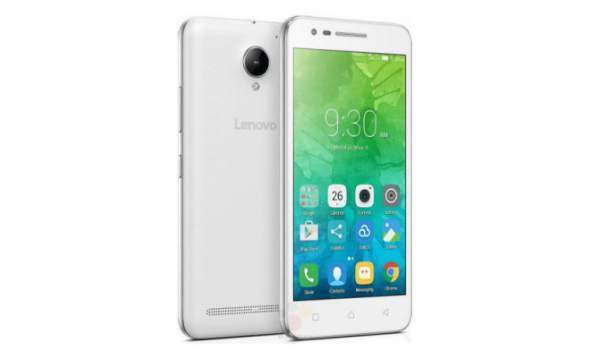 The device perfectly runs on Android OS Marshmallow v6.0 with the Lenovo’s Vibe UI. It is expected that the smartphone will soon get the Android ‘N’ update after the launch. The phone supports 2G, 3G and 4G network technologies with it. It has two SIM slots and provides additional essential features like WiFi, Bluetooth v4.2, GPS, NFC, FM radio and a micro USB port. There is a 3.5 mm audio jack in the device. It has the dimensions of 143.5 x 71 x 9.5 mm, and the smartphone weighs about 155.6 grams. The only disadvantage of the phone than that of Vibe C2 is that this device is slightly thicker than the original one which might prove to be the biggest problem with it. The price of the smartphone has not been announced till now, but it is expected that the VibeC2 was priced around RUB 11,000 (approx $167) in Russia. Since the phone has got better specifications than the C2, so it means to be more slightly expensive than that. Let’s wait for the launch of the device and see what price would company offer for their customers in the country. For more details, Stay tuned to the website, wait for the next post and save the bookmark right now. Stay tuned to The Reporter Times for latest smartphone news and other Tech updates across the globe. Don’t forget to share it on social media sites.